The URL for this website was found on a red flyer at the February 22, 2007 show in Paris, France. 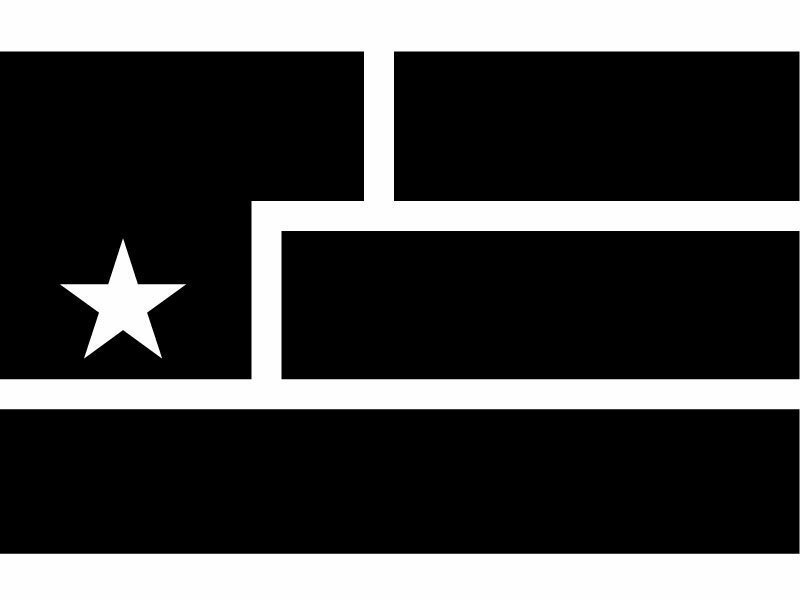 The logos shown on the site are consistent with the 2_21_07 image posted on the nin.com/current site. This site seems to be a place for "members of the resistance" to remind the visitors of the site that "they have a voice." The site contains links to a tools page and a forum, leading to anotherversionofthetruth.com/artist.htm. 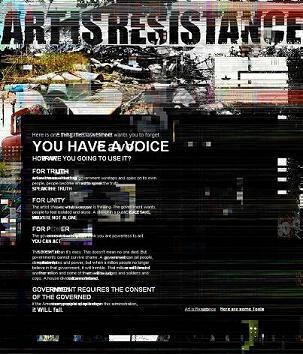 The tools page has stencils of the Art is Resistance logo in various forms, such as desktop images, and stencils. The AIR logo might be seen to resemble, highly stylized, the hand-shape known as "the Presence" (a thumb and three fingers). Do NOT deface public property. Do NOT continue viewing subversive documents. The word continue links back to the main site. There are two known links on the main page. The first links to a previously undiscovered thread on Another Version of the Truth. The second links to a 'tools' page which provides downloads of the Resistance Logo in various formats. 38: John said to him, "Teacher, we saw someone driving out demons in your name, and we tried to prevent him because he does not follow us." 45: And if your foot causes you to sin, cut it off. It is better for you to enter into life crippled than with two feet to be thrown into Gehenna. Another way to look at the numbers is that .38 to .45 is a reference to gun calibers, and not religion. Suggesting TheWarden wants them to amp up the damage. These dates could be a phone number, or manipulated to find the next clue. Note the b. and d. (as in born, and died). It appears soonerlater was making a reference to his mother's death in the OK city bombings as an unnecessary casualty of violent resistance. Jan. 10, 1967: ...We have chosen to fight a limited war in Vietnam in an attempt to prevent a larger war--a war almost certain to follow, I believe, if the Communists succeed in overrunning and taking over South Vietnam by aggression and by force. I believe, and I am supported by some authority, that if they are not checked now the world can expect to pay a greater price to check them later. It is speculated in some circles that TheWarden may be the Angry Sniper using a different alias. It is also speculated that TheWarden may be the Warden from the Judson Ogram Correctional Facility. Something else worth mentioning is that CazzazaKid says "he just wanted to tell us AIR has flatlined, not start WW4", suggesting that World War 3 has already happened. 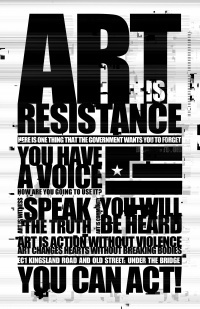 Also note that the Artist topic linked via the Art Is Resistance website contains text in the background which when compiled is the same passage from Slaughterhouse-Five found on the Wire-Tap website. BanksyForDictator -- It should also be noted that one of the screennames is 'BanksyForDictator.' Banksy is a world-famous anonymous artist/social commentator known mostly for his graffiti and stencil work. His use of illegal art in a most extreme form is a testament to the role art can play in a social movement and fits hand-in-hand with the theme of www.artisresistance.com. 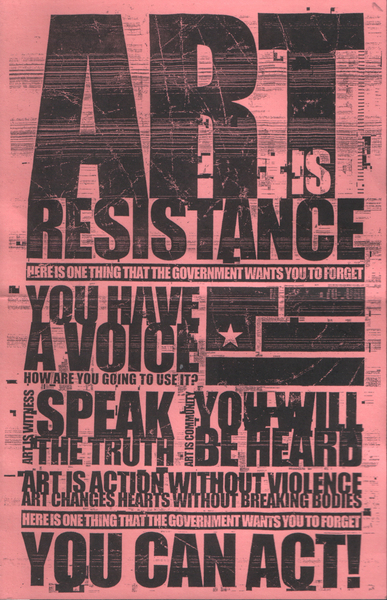 It is possible that Neil Czerno was the founder of Art Is Resistance, and he is the missing AIR artist from the Another Version of the Truth artist thread. Check out the discussion page for this article for further theories and speculation. This page was last modified on 27 May 2018, at 09:32. This page has been accessed 179,124 times.